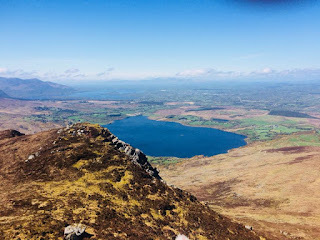 On Sunday 6th May ( Dromtarriffe Well Day ) the club walk was on Crohane mountain the second most easterly summit in the Mangerton mountains. At 650 meters it looms over Glenflesk. 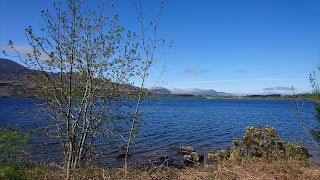 We left town at 09.30 and continued to Glenflesk where we stopped for coffee /tea. We car pooled from here as there was limited parking at our destination. None of us had done this mountain previously so it was a new experience. 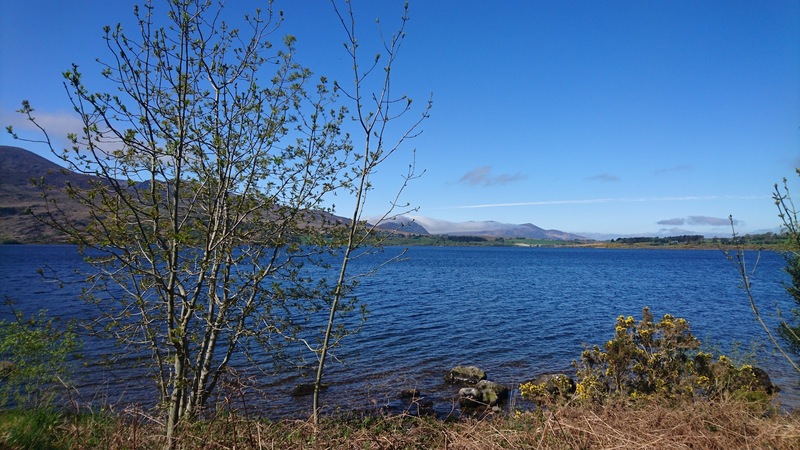 We continued on the N22 to a junction to our left with a sign for Lough Guitane. Turning left here we continued until we came to a tarmac lane on our left. Parking up here we changed and made our way down towards Lough Guitane. Hugging the Mediterranean blue water to our right and Bennaumore straight ahead we continued on the lane. Eventually our way was blocked by a fence so we veered left up the slope of Crohane. There was no clear path so we had to find our own way. We zig zagged up, it was a tough enough slog, but the views that opened up as we gained altitude, more than made up for it. The sun shone on the sparkling waters below and the summit of Crohane came into view.Upwards we went marveling at the beautiful scenery around us. Finally reaching the 650 meter mark we had some very welcome refreshments. It was a fabulous summers day. We stretched out and relaxed. The scenery, the stillness it was heaven. To the east the Paps, Mullaghanish and in the distance the Ballyhouras. To the west Stoompa the Reeks. Refreshed we made our way down we decided not to return the way we came up. So we headed in a north westerly direction. 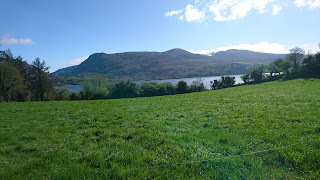 With Lough Guitane as our beacon , with some difficulty we found the sanctuary of the tarmac lane. Did we pick the best route up ? No. Did we pick the best route down ? No. 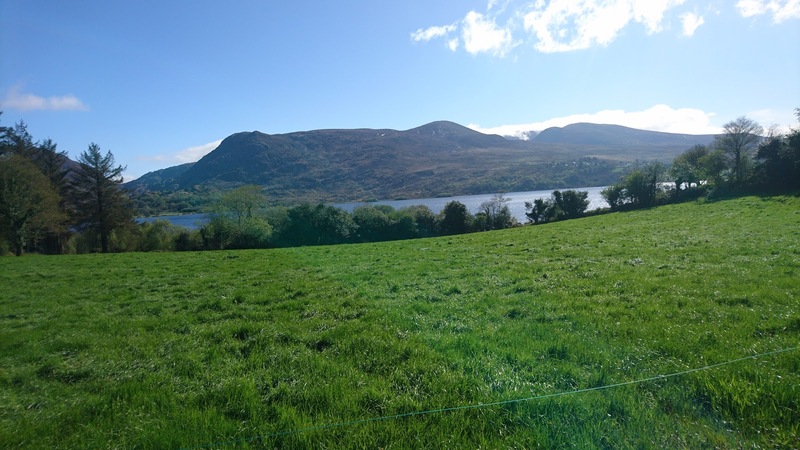 Would we climb Crohane again ? YES. We changed and made our way to the Torc Hotel for refreshments and to chat about the day. We had MUCH to talk about. The family that climbs mountain together, comes down together......... Club motto.